What traits set those born and raised in Moscow apart from other Russians? Higher salaries? The possibility to choose among hundreds of cool parties? We’ll explain what defines a typical Muscovite, and how you can try to mimic him or her. A first unexpected fact: The majority of Moscow residents aren’t Muscovites at all, and instead, they’re recent arrivals to the megalopolis. The native born and bred population comprises about a quarter of city residents, but 72 percent of all who live in the capital call themselves Muscovites. Among these are rich and poor people, those with higher education and without, renting studio apartments in the outskirts and two-bedroom apartment owners in the center. But over the years they’ve learned to understand each other with just a glance and almost without words. Below is a description of a real Muscovite. What does the average Muscovite look like? “He looks the way he wants to.” Muscovites like comfort, and dress casually. They also joke that they have radar in their heads for sales. In fact, these two words – simplicity and practicality - are a Muscovite’s defining traits. The less swagger in one’s image, the better; for example, clothing that doesn’t have a label, a plain backpack and New Balance sneakers. “Girls in Moscow try to apply makeup in a way that doesn’t make them stand out. Even at social events, makeup and bright colors are rare,” said native Muscovite, Ivan Astrov. 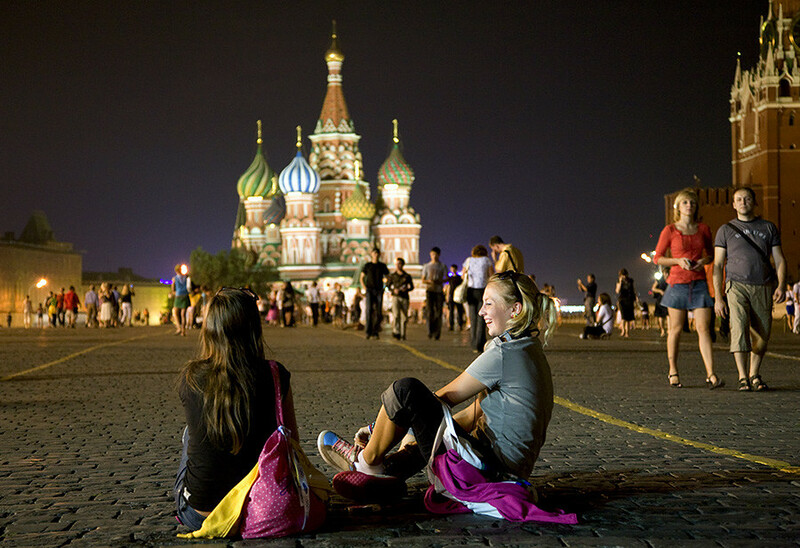 What places do Muscovites visit? “I can’t stand it when someone stands there and zones out, or is walking in front of me slowly,” said Moscow resident Alexander Lazarev. Muscovites walk fast, even if they’re not in a hurry. The capital’s pace of life is too fast for a casual walk, which is considered a clear sign of a provincial. You’ll also never hear a Muscovite say, “Let’s go for a walk on Red Square or Manege Square,” because he almost never goes to the city center, unless he works there. “I don’t like the center and, even more so, Red Square. I prefer parks in my own district. In general, Muscovites love their own districts; it’s like a separate city,” explained Moscow resident Sergei. It may seem that Moscow has many city festivals - in 2017, city authorities spent about half a billion rubles, or $8.8 million organizing such events. “My wife and I don’t go to those festivals. There are no Muscovites there. We don’t like them, as well as huge concerts. 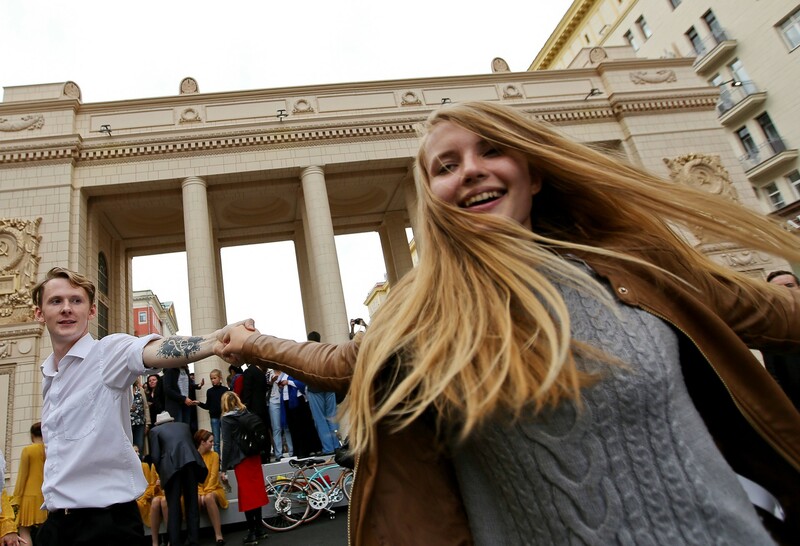 Muscovites are fairly quiet people, confident in themselves,” said Sergei. Online, a Muscovite usually logs into Facebook, while the rest of Russia logs on to the Russian social network, VKontakte. Muscovites also like coffee shops, but not because they really love coffee or they need to eat; rather, because they have a meeting, or have to work or read. 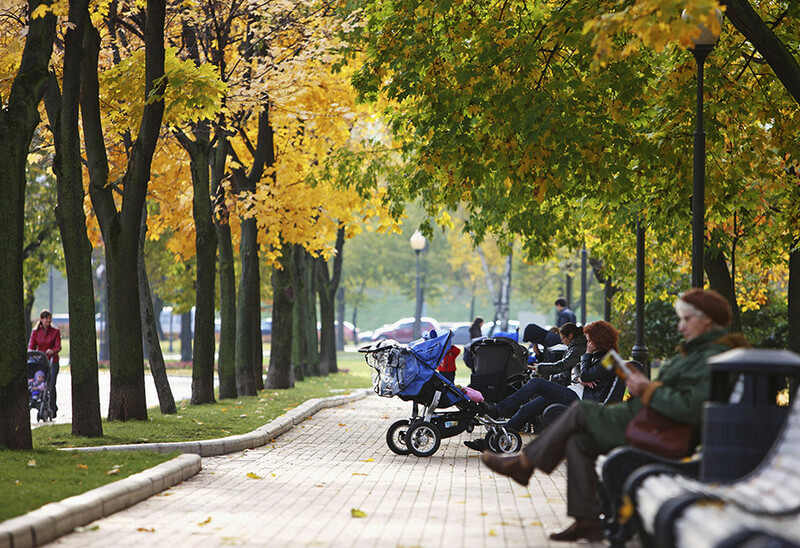 As far as parks, Muscovites have their own ranking. In first place is Neskuchny Sad (and not long ago, Zaryade); in second place is Apetkarsky Sad, followed by Botanichesky Sad and Sokolniki. In autumn, Muscovites like to visit towns outside of Moscow, such as the former aristocratic estates of Arkhangelskoye and Kolomenskoye. Where does a Muscovite prefer to live? Every Muscovite knows that southeast Moscow means industrial zones, traffic jams, dilapidated highways and overcrowded metro trains. Yuzhny industrial port alone is bigger than Venice. Locals believe that the further northwest the better, with its green areas and ponds, as well as its clean and peaceful areas. Due to high rents in the center, many people, especially those who are young and temporary residents, pool their resources to rent an apartment. The most fortunate ones inherit apartments from their parents and grandparents. How does a typical Muscovite get around the city? While Moscow residents love cars, they’re riding the metro more and more because it’s faster and cheaper. “Some Muscovites have automobiles that sit parked in the garage during the week, but on the weekend they go to the store, or to the city center on Sunday when parking is free. Some only drive 5,000 kilometers in a entire year,” said Anton, a resident of the capital. 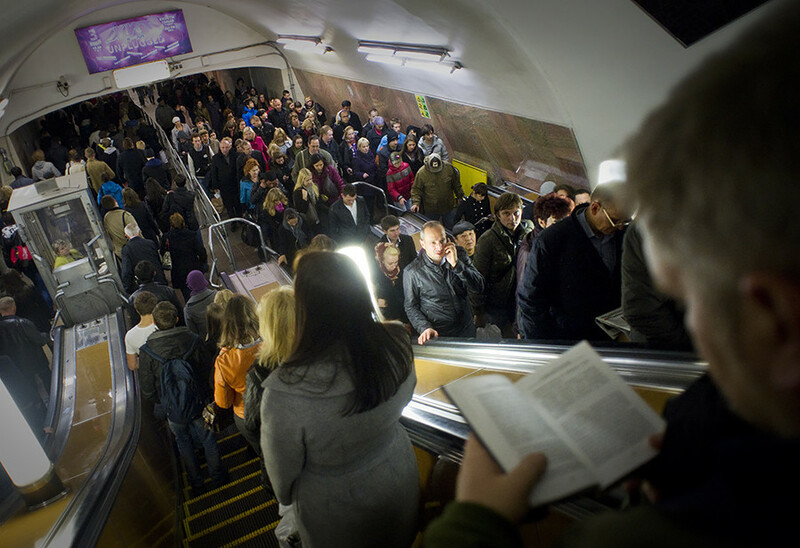 Muscovites still read paperbacks on the metro, and when it’s overcrowded they don’t hold out their elbows to make more space for themselves. They stand in columns and wait patiently for their station, breathing into the back of a stranger’s head. When Muscovites exit the metro on the escalator, they don’t turn their heads side to side, and don’t look at billboards. They look straight ahead, at a phone or nowhere. And they never, absolutely never, rub the nose of the bronze dog at the Ploschad Revolutsii (Revolution Square) metro station for good luck. How does a real Muscovite relate to his city and himself? Also, Moscow locals usually don’t flag down random cars, and instead used official taxi services. They also tend to eat at home, and before boarding the bus, they line up at the bus stop before the bus even comes and don’t like those who cut in line. They respect homeless people when they sleep in the metro cars, and don’t chase them away. Finally, real Muscovites know when traffic jams are likely to occur, and they don’t complain or use them as excuses if late for a meeting.